Another Lancaster Barnstormer (Atlantic League of Professional Baseball) is heading to an affiliated organization. After joining the Lancaster following the 2017 All-Star Break and batted .333 in 60 games with six homers and 38 RBI, the New York Yankees picked up the contract of infielder Nate Coronado today, according to the Barnstormers’ website. Coronado, 25, will report to the club’s spring training camp in Tampa, Florida, and await an assignment to one of New York’s minor league affiliates. The Philadelphia, Pennsylvania, resident hit safely in 19 of his first 22 starts with Lancaster and ended the year on a six-game hitting streak. Barnstormer manager Ross Peeples sang the praises of his former player, citing his versatility and youth as key components for the chance to showcase his skills with the Yankees farm system. Coronado had appeared in five games with Grand Junction Rockies of the Pioneer League (R), where he slugged .450 with three dingers and seven runs batted in before the Colorado Rockies released him. 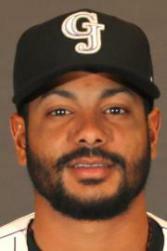 The Camden County College product spent the 2015 campaign with the now-defunct Camden Riversharks (ALPB) and played in nine contests.